Togolese immigrant Koli Kou leans on a cardboard coffin during a protest against the leaders of several African nations on Tuesday in front of the Peninsula Hotel. The coffin represents the peril the country of Togo is in, Kou said. Photo by Amy Zahn. Dozens of protesters convened near 5th Avenue yesterday to decry tyranny and corruption, but unlike other demonstrators that day, they weren’t protesting Donald Trump. 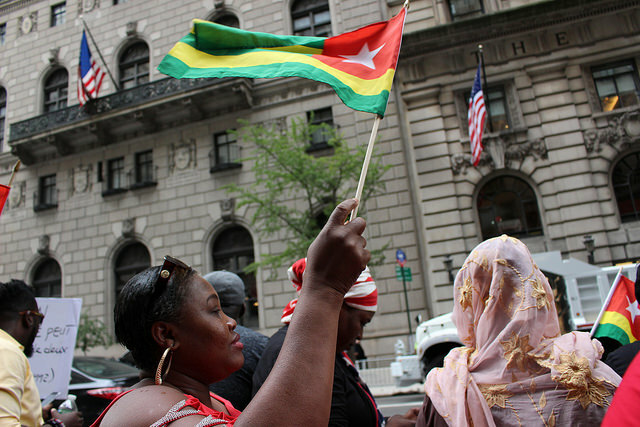 Immigrants from African nations Gabon, Togo and the Republic of the Congo gathered in front of the Peninsula Hotel in Midtown Manhattan to protest the leaders of their respective nations, who are staying there during the United Nations General Assembly. Protesters referred to them as killers, criminals and dictators. “We have the opportunity to be here in the country of the brave, the country of freedom, so we are expressing that freedom here because our own people back home are not allowed to do that,” said Gabonese immigrant Franck Jocktane amid chants of “Freedom, Africa!” around him. Over 200,000 African immigrants reside in New York City, according to the U.S. Census Bureau, making New York one of only four states with an African-born population that exceeds 100,000. Jocktane came to the United States to study in 1991, but says he cannot go back because he has been too vocal about condemning Gabon’s leadership. To do so would mean jail time — or worse, he said. “I taste freedom here. There is no way that if I go to Gabon I’d be quiet,” said Jocktane. Gabonese president Ali Bongo Ondimba assumed power in 2009, succeeding his father, who reigned for 41 years. Ondimba extended his rule in 2016 through an election that he won by less than two percentage points, a vote many have decried as fraudulent. Protesters shouted for Ondimba’s removal from power, along with the removal of Togolese president Faure Gnassingbe and Denis Sassou Nguesso, president of the Republic of the Congo. They toted signs reading “50 years is long enough,” and “Free Gabon,” and sang chants in Ewe, a language spoken in several African countries. Combene Anani, a Togolese immigrant who works as a housekeeper in the Bronx, is terrified for her mother and brother, who still live in Togo. She wants only one thing — for Gnassingbe to step down. 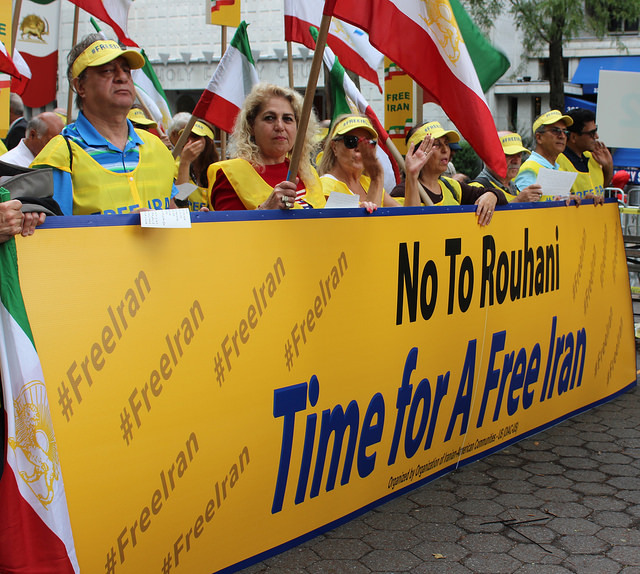 Some demonstrators also want a stronger response from the U.S. regarding what they see as the tyranny being perpetrated by leaders of their countries. For Jocktane, the U.S.’s willingness to host Ondimba, who Jocktane calls a murderer, legitimizes his actions. 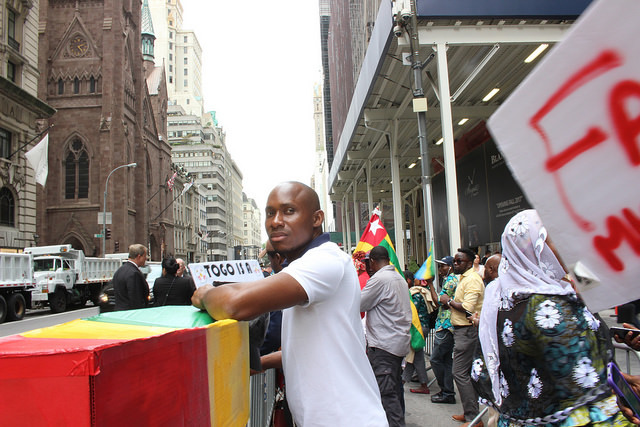 Jocktane, along with fellow demonstrator Yorrick Ioayume, are members of an organization called CGR New York, or the Gabonese Council of Resistance in New York City, which helped organize the protest. 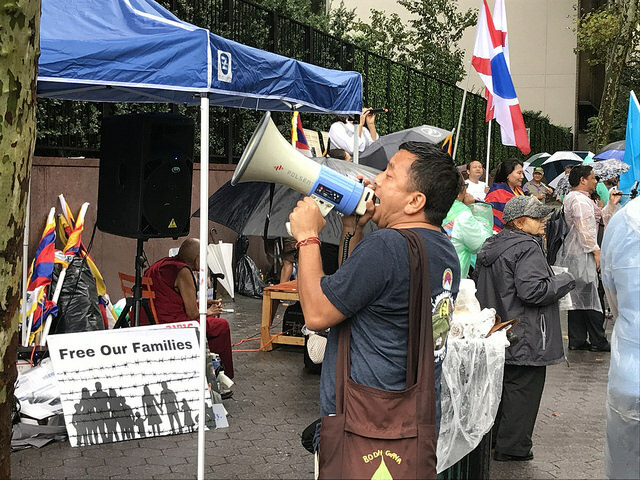 Protesters dissipated around 3 p.m., about an hour after they arrived in front of the hotel. 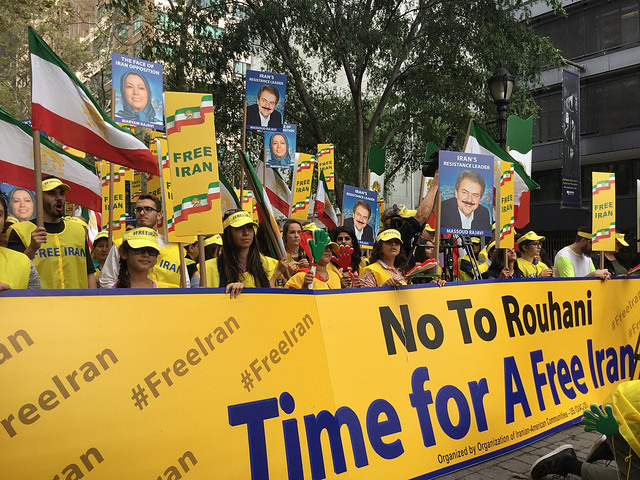 They plan to protest at the United Nations Headquarters for the rest of the week, according to Ioayume. 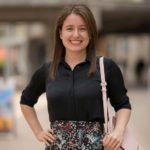 Jocktane hopes that speaking out will lead to a shift in culture and policy in Gabon and across Africa.